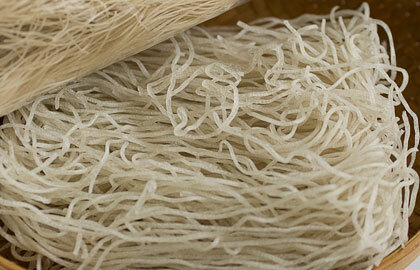 Also referred to as rice noodles, rice vermicelli are thin noodles made from rice flour and sold dried in coiled nests. 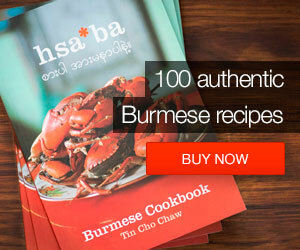 Before using, soak in water until soft then boil until cooked. 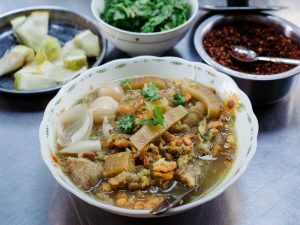 I prefer to use brown rice vermicelli as they tend to have more bite and does not fall apart if over-cooked. 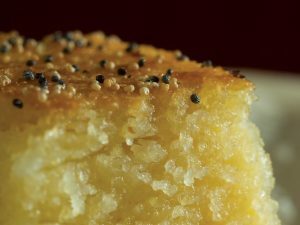 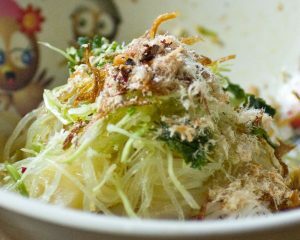 Dried vermicelli can be deep-fried briefly until crisp and added to salads as garnish.